Thank you for choosing the office of William R. Burns D.D.S. as your dental care professionals. 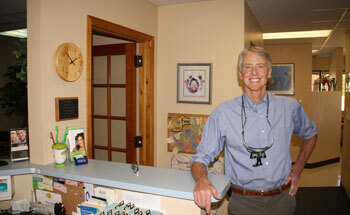 Dr. Burns and his staff of well-qualified and friendly assistants will care for your oral hygiene needs. We look forward to establishing a relationship with you and your family for all your preventative, restorative, and cosmetic dental needs. We take pride in helping you with any oral care questions you may have, and we appreciate the opportunity to provide you with quality dental care. When you come into our office, you will be greeted with a friendly smile by each of us. Welcome once again and thank you for allowing us to assist you in maintaining a healthy, happy smile that will last a lifetime! » Click here to review our New Patient Forms - you may print these prior to your visit and fill them out, then bring them to your first appointment. Thank you - we look forward to serving your individual or family dental needs!